Consort Claudgen Quartzone IP55 waterproof heaters are totally weatherproof making them ideal for heating a patio, terrace or an outdoor smoking area. 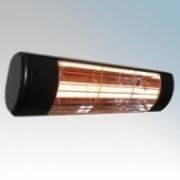 The heater utilises the high energy, shortwave output of quartz halogen lamps. 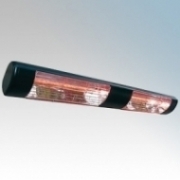 The anodised aluminium reflector ensures the heat is directed to a specific area and the glass-free front ensures maximum thermal efficiency. These features make the QZWP a significantly more environmentally friendly product for heating outdoor areas compared to gas heaters, which are far less efficient as much of the heat dissipates into the atmosphere. The QZWP range is clean, silent, odourless and is virtually maintenance free. The running costs are very low working out approximately 1/3rd of the total running costs of gas systems. 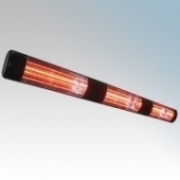 Consort Claudgen Quartzone IP55 Heaters There are 3 products.